It’s been awhile since I’ve added any new gray/grey inks to my Fifty Shades of Grey collection! 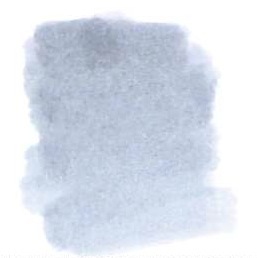 New Gray from Omas is a lovely shade of gray with a bit of blue in it. It’s probably too light to use in a business setting and definitely lighter than the other shades of gray that I’ve reviewed. It writes great. No smearing. Maybe a little dry, but not bad. Some nice shading. The water test is pretty amazing. Even on the original, I have to squint to see where I dragged the web cotton swab across my writing. Overall, this is a gray I dig and I could see using it on a regular basis. That is, if I hadn’t already fallen in love with another gray. Stay tuned . . . 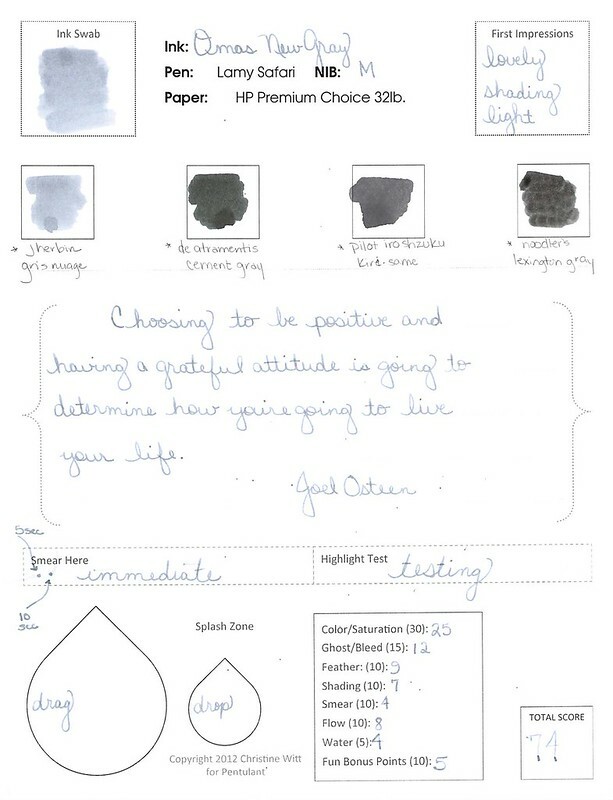 This entry was posted in INKS and tagged fifty shades of grey, gray, grey, omas by Christine (Pentulant). Bookmark the permalink.